This entry was posted in Fountain Pens, Reviews and tagged custom742, falcon nib, Flex, Flexible, fountain pen, Nibs, Pilot, review on June 22, 2016 by sbrebrown. This entry was posted in Fountain Pens, Reviews and tagged Flex, fountain pen, fountain pen revolution, FPR, guru, Nibs, review on June 15, 2016 by sbrebrown. 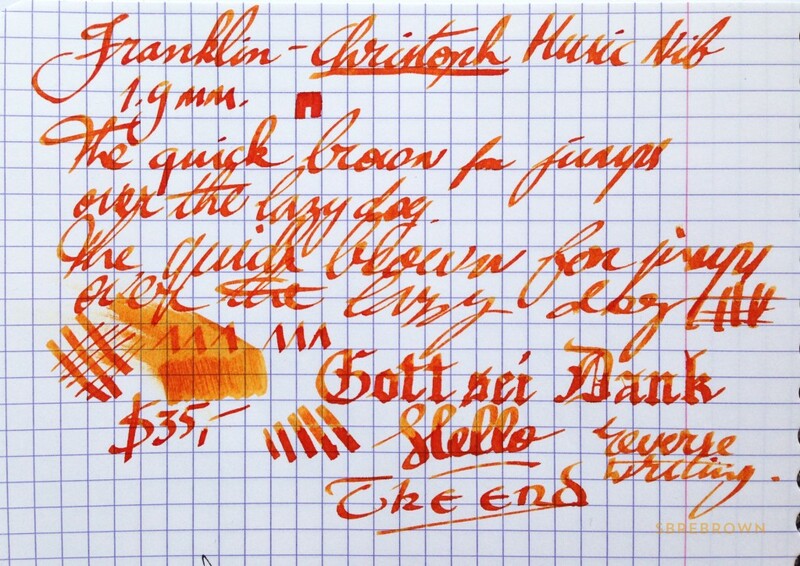 Now here’s something truly special: a nice, modern music nib. Expect 0% flex, but it does offer serious line variation, being a 1.9 mm italic. Three tines, two slits, superb ink flow, and a wonderfully smooth writing experience. Need more details? Check out Serious Nibbage Part 2 with Gourmet Pens. 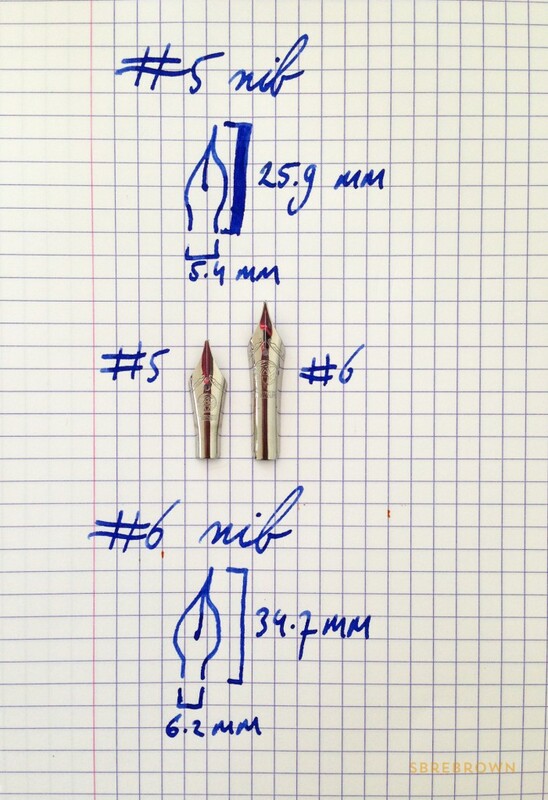 As promised, I have tried to put this nib in a number of popular pens. I haven’t inked up all of these pens, so I can’t guarantee a wet writing performance, but the nib fits easily in these pens. 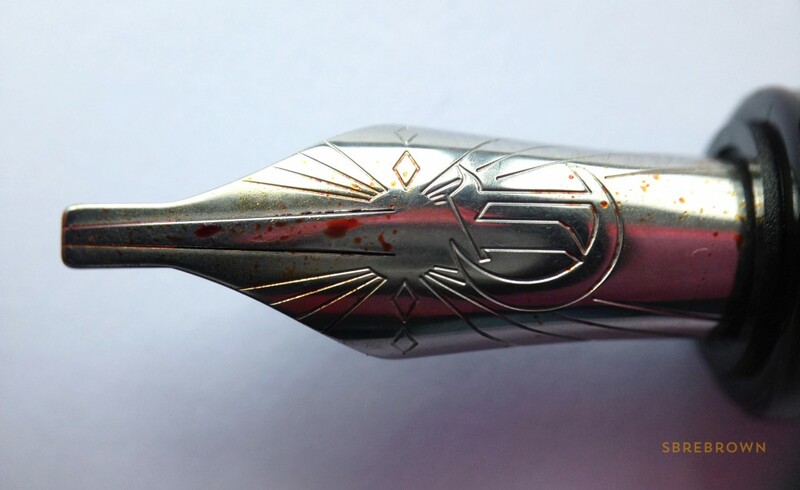 This entry was posted in Fountain Pens, Information, Reviews and tagged Fountain Pens, Franklin-Christoph, Nibs, Reviews on September 20, 2014 by sbrebrown. This entry was posted in Fountain Pens, Information and tagged Fountain Pens, Nibs on September 16, 2014 by Azizah Asgarali.